We are the largest one-to-one youth mentoring organization in New England. Founded in 1949 in Boston, this year we will serve over 3,000 children throughout Eastern Massachusetts. We are a leader within the Big Brothers Big Sisters national network, and a proud affiliate of one of the most recognized and prestigious non-profit brands in America. We are at the forefront of new technologies and youth outcomes work that have broad implications for both the mentoring field and positive youth development. 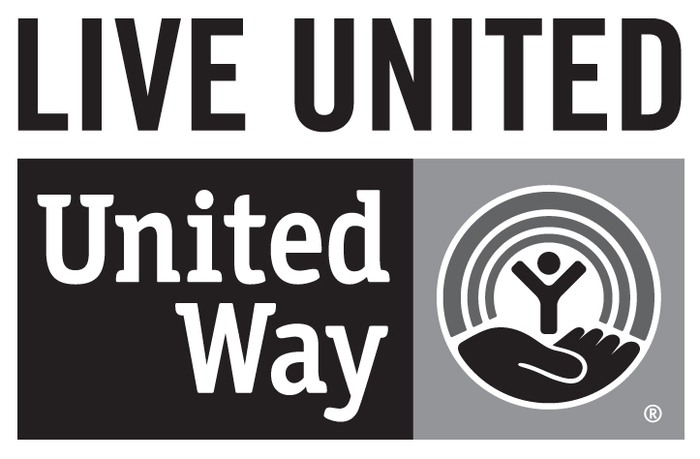 We are proud partners with hundreds of corporations, educational institutions and municipal agencies – working together to serve children and achieve organizational missions. 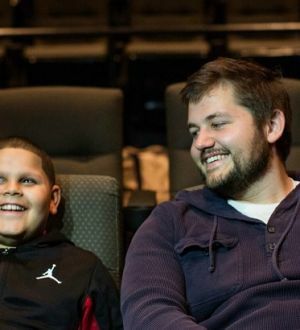 Our program matches adult volunteers with children who need adult mentors and friends. With adult attention and guidance supporting their positive development, their lives change for the better and ultimately impact the community. We are serious about our data and encourage you to study the evidence of our impact. We also hope you’ll spend some time getting to know some of our Bigs and Littles in the program. Their stories will inspire you. Successfully completed our 2012-17 Growth Plan. 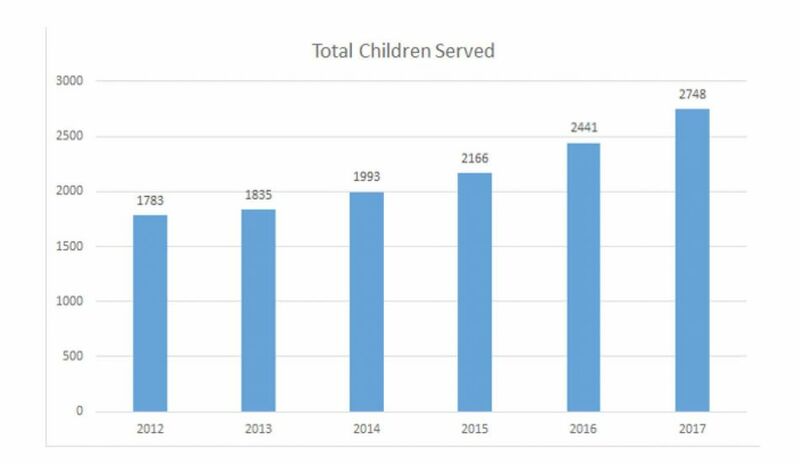 Over 5 years, increased the number of children served by 54% and grew the number of annual new matches by 100%. Launched our innovative Mentor 2.0 Program, in partnership with the Boston Public Schools. Increased overall organizational capacity through innovation and technology enhancements as well as staffing capacity. Thanks to the generosity of donors like you, we raised over $6,800,000 in FY 2017, which enabled us to serve over 2,700 children. This marks our 8th consecutive year of growth in service! Our list of donors is always growing and with your help we are able to positively impact children, their families, and the communities we serve. You are part of something ‘Big’! Financial statements can be located HERE. 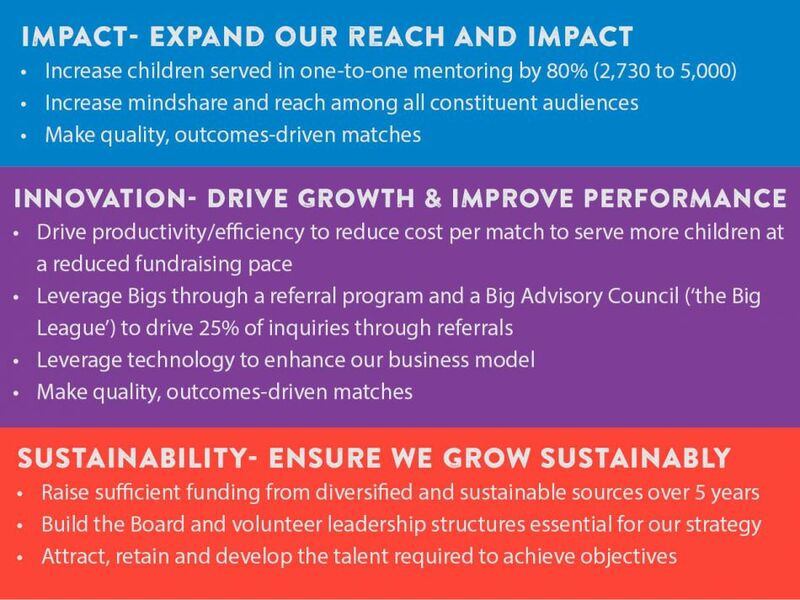 Our current multi-year strategic plan will enable us to scale our impact to children at an accelerated, sustainable pace. Our objective is to provide the best one-to-one mentoring experience in the country, based on outcomes that support positive youth development, for the greatest number of low-income boys and girls, at the most efficient cost structure possible.